In need of labels?? If so, iCustomLabel has you covered. Whether you are looking to label cigars for a baby announcement or address labels for a new home, iCustomLabel.com has it all! 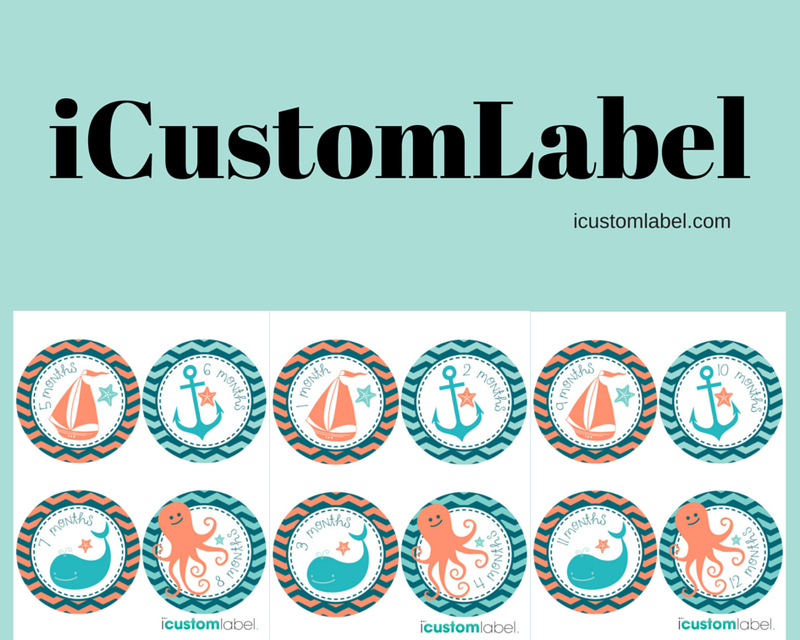 Here are their Nautical themed month stickers for babies! So cute! Other themes include owls, baseballs, blue nautical, chalkboard, glitter, etc. I love the idea of these stickers. Its a great way to document those special moments in your babies life. Every month for twelve months, you can take a photo of your baby with a special label. Save the labels and add them to a scrapbook along with each photo. I noticed that the stickers did not stick very well to the shirt. But, they did their job and I think that they are adorable! They are a nice size which makes the number and month visible in photos. The bright colors makes the sticker pop! $10 for 12 stickers.